THE AWFUL TRUTH (1937). Merely one of the greatest comedies ever made, the screwball classic The Awful Truth earned Leo McCarey the Best Director Academy Award and nabbed five additional nods for Best Picture, Actress (Irene Dunne), Supporting Actor (Ralph Bellamy), Screenplay and Film Editing. So who's conspicuously missing from this lineup? Then again, this would hardly be the last time the Academy took Cary Grant for granted: Despite his illustrious career, he would only receive two Oscar nominations, both for largely forgotten dramas. 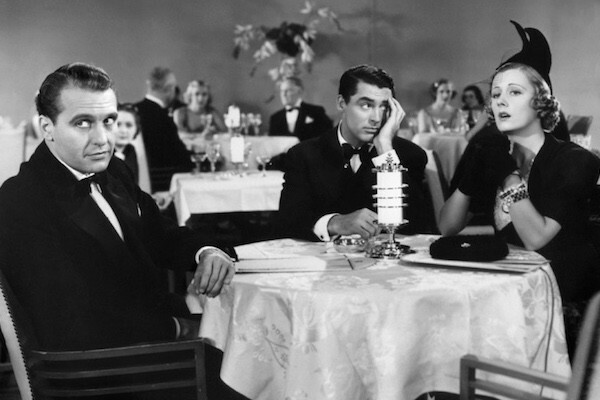 The Awful Truth finds him performing at the peak of his comedic abilities, as he and Dunne (a wonderful sparring partner) play Jerry and Lucy Warriner, a married couple on the verge of making their divorce final. In the interim, Lucy becomes involved with a wealthy hayseed (Bellamy) while Jerry first woos a showgirl (Joyce Compton) and then an heiress (Molly Lamont) – each spouse, of course, tries to sabotage the other person’s romantic affairs. One hysterical vignette follows another, though I've always been partial to the judge who finds Lucy’s courtroom prattle "frightfully immaterial." Grant and Bellamy would again tackle similar roles — with similarly hilarious results — in another comic masterpiece, 1940’s His Girl Friday. If the Warriners’ Fox Terrier looks familiar, that’s because he’s played by the same dog who rocketed to fame as Asta in 1934’s The Thin Man. Blu-ray extras consist of a video essay by critic David Cairns on Grant’s performance; an interview with critic Gary Giddins about McCarey; a 1978 audio interview with Dunne; and the 1939 radio adaptation starring Grant and Claudette Colbert. 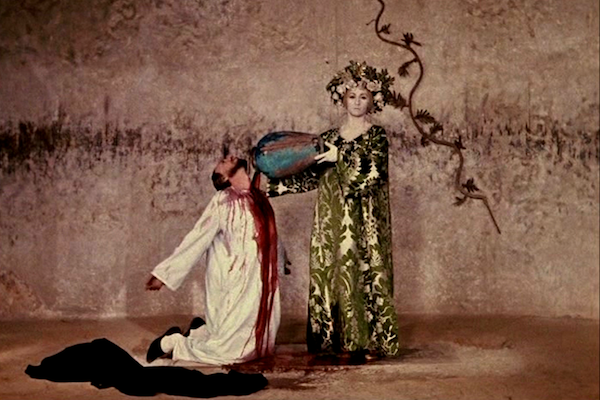 THE COLOR OF POMEGRANATES (1969). Once the Russian-Armenian filmmaker Sergei Parajanov abandoned realism for surrealism, it was all over for his career – at least from the standpoint of being left alone by the Soviet state. Indeed, it was after Parajanov made his two internationally acclaimed pictures, 1965’s Shadows of Forgotten Ancestors and 1969’s The Color of Pomegranates, that the Communist regime finally had enough of his avant-garde ideas and individualist streak and tossed him in a Siberian Gulag prison, where he remained for four years. His prison stints (yes, there were more) took a toll on his health and he eventually died in 1990 at the age of 66, but not before other major filmmakers began to appreciate his small body of work. Martin Scorsese is one such fan, as his World Cinema Project has restored The Color of Pomegranate, which is now receiving a Blu-ray release on the Criterion label. A look at the life of Sayat-Nova, the film is less a standard biopic than an experimental piece offering select scenes centered around the 18th century Armenian singer and poet. 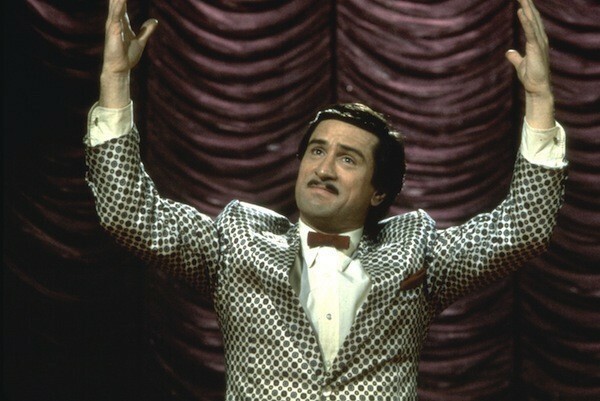 Even those familiar with Sayat-Nova might find much of the movie impenetrable, but as a visual exercise, it’s a dazzling achievement, filmed in a manner that’s almost impossible to describe – it’s live-action, and yet the sets, effects and shooting style often make it look like a stop-motion effort (indeed, some scenes recall the tableaux spotted in various Wes Anderson features). Clearly, The Color of Pomegranates is not for every taste, but it’s a safe bet for those seeking something radically different. Blu-ray extras include audio commentary by film critic Tony Rayns; a video essay on the film’s symbolism and references; the 2003 documentary Sergei Parajanov: The Rebel; the 1969 documentary The Color of Armenian Land, directed by Parajanov's friend, filmmaker Mikhail Vartanov, and featuring scenes of Parajanov at work; The Last Film, a 2015 short by Mikhail Vartanov's son, filmmaker Martiros M. Vartanov; and the 1977 documentary The Life of Sayat-Nova. THE COMMUTER (2017). Planes, Trains and Automobiles might be the name of a beloved John Hughes flick from the 1980s, but it’s also Liam Neeson’s preferred modes of transportation en route to dispatching various baddies with bone-crunching determination. Under the watchful eye of director Jaume Collet-Serra, Neeson has taken to cars in Unknown, an airplane in Non-Stop, and now a locomotive in The Commuter. 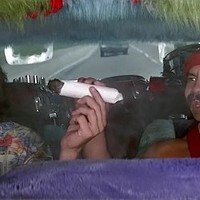 (In their joint offering Run All Night, the actor was content just to hoof it.) In The Commuter, Neeson plays Michael MacCauley, a former cop who has spent the past decade working as an insurance salesman. Unexpectedly losing his job, Michael’s in a vulnerable state, which largely explains why, on his train ride home, he accepts a mysterious offer from a complete stranger (Vera Farmiga): Locate a certain person on the train and earn an easy $100,000. Michael takes the bait, but once he realizes that the individual he’s expected to expose is being targeted for assassination, he spends the rest of the commute trying to figure out how to thwart the killers. On the Liam Neeson Action Movie Scale, The Commuter mostly gets the job done, with Neeson’s typically committed performance providing a strong center to an increasingly outlandish storyline. The identity of the “surprise” villain was obvious before the script was even written (and the way he trips himself up is daft beyond compare), and late innings find Neeson’s Everyman engaged in death-defying activities that would give even Superman pause. But for those looking for a reasonably satisfying mix of mystery and muscle, The Commuter should be just the ticket. Blu-ray extras consist of a pair of behind-the-scenes featurettes. The only extra on the Blu-ray edition from Shout! 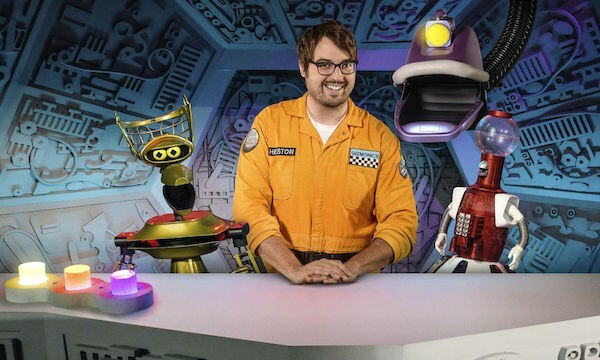 Factory is the documentary We Brought Back MST3K. THE POST (2017). In these turbulent and trying times, a timid and largely ineffectual media is par for the course, feigning acts of hard-hitting journalism when maintaining some measure of the status quo is what’s really taking place. Three cheers, then, for The Post, which not only recalls a more honest, more efficient and more courageous period for the American newspaper but also serves as a throwing down of the gauntlet for the modern counterpart. 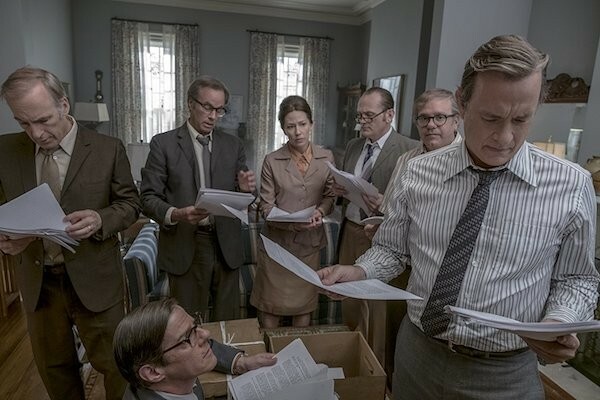 The Post may not match the brilliance of 1976’s All the President’s Men, but it still serves as a potent reminder of the potential power of the press, and it emerged as one of 2017’s 10 best films. Tom Hanks is excellent as Washington Post editor Ben Bradlee, ordering his troops to find out what bombshell the New York Times plans to explode on its cover in June 1971. It turns out to be pages from the Pentagon Papers, leaked by analyst and activist Daniel Ellsberg (Matthew Rhys) to alert the nation to the lies spun by several administrations in regard to the Vietnam War. Once the Nixon White House obtains a temporary court injunction that prevents the Times from publishing any more pages, Bradlee sees this as the Post’s opportunity to pick up the baton. But to do so, he needs the approval and authorization of Post publisher Katharine Graham (Meryl Streep), already in the spotlight as the sole female boss of a major American newspaper. Armed with a stellar screenplay by Liz Hannah and Josh Singer, Steven Spielberg responds by serving up his best picture in 15 years. Clearly energized by the urgency and importance of the piece, the director has fashioned an engrossing film that above all functions as a cautionary tale. The Post earned a pair of Oscar nominations for Best Picture and Best Actress. Blu-ray extras include a making-of featurette; a piece on Graham and Bradlee; and a look at composer John Williams. 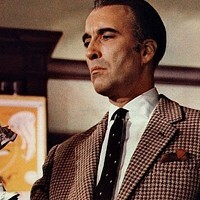 THE PSYCHOPATH (1966). Considering Robert Bloch wrote the novel upon which 1960’s Psycho was based, a Bloch-scripted film with the similar moniker of The Psychopath certainly suggested another superior thriller was in the making. Unfortunately, this Amicus production falls somewhat short, with an initially interesting mystery becoming more obvious and less gripping as it unfolds. Someone is murdering the members of a tight-knit group of prominent British citizens, and it’s up to Inspector Holloway (Patrick Wymark) to figure out who and why. 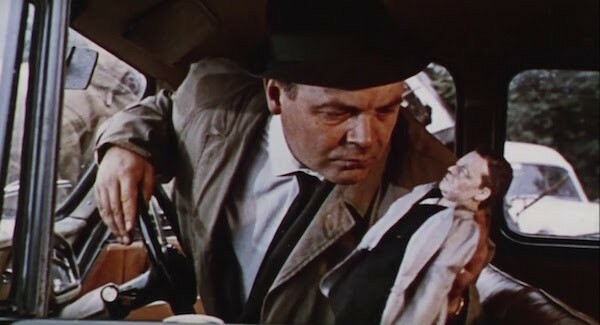 A doll created to look like the victim is placed next to each corpse, and this clue leads Holloway initially to a doll shop and then to the spooky home of German matriarch Mrs. von Sturm (Margaret Johnston), an invalid who lives with her grown son Mark (John Standing). Most of the characters created here by Bloch aren’t terribly interesting, and the lack of suspects offered by his script also means the film fails as a whodunit. Most damaging of all, though, is the wretched overacting by Johnston – her performance turns her character into as much of a caricature as the ones Cloris Leachman would tackle for Mel Brooks (most notably Young Frankenstein’s Frau Blucher), except this is supposed to be a dramatic turn. What partly salvages the picture is the presence of Freddie Francis, a veteran horror director frequently employed by both Hammer and Amicus (in his other career as a cinematographer, he won a pair of Oscars for 1960’s Sons and Lovers and 1989’s Glory). If nothing else, The Psychopath is visually strong, with Francis framing the murders in clever (and surprisingly subdued) ways and the von Sturm residence presented as a unique chamber of horrors. 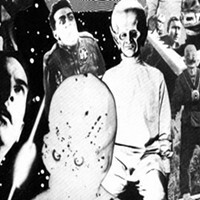 Blu-ray extras consist of audio commentary by film historian Troy Howarth and the theatrical trailer.